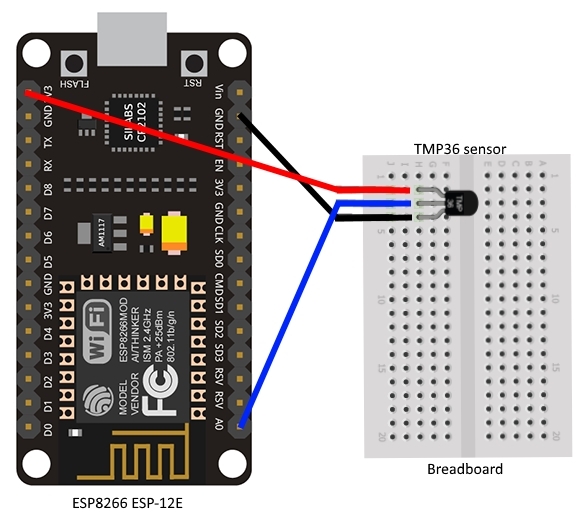 We will learn how to use the TMP36 temperature sensor with the ESP8266 ESP-12E module (LoLin NODEMCU V3). These sensors use a solid-state technique to determine the temperature. That is to say, they don't use mercury (like old thermometers), bimetalic strips (like in some home thermometers or stoves), nor do they use thermistors (temperature sensitive resistors). 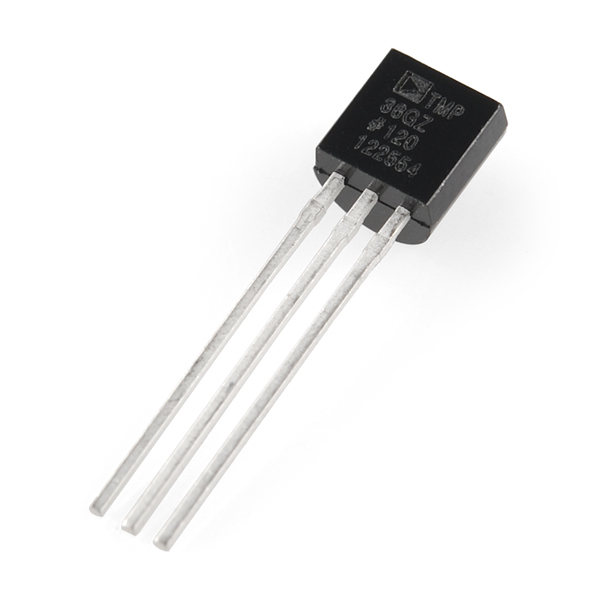 Instead, they use the fact as temperature increases, the voltage across a diode increases at a known rate. (Technically, this is actually the voltage drop between the base and emitter - the Vbe - of a transistor.) By precisely amplifying the voltage change, it is easy to generate an analog signal that is directly proportional to temperature. There have been some improvements on the technique but, essentially that is how temperature is measured. Because these sensors have no moving parts, they are precise, never wear out, don't need calibration, work under many environmental conditions, and are consistant between sensors and readings. Moreover they are very inexpensive and quite easy to use. These stats are for the temperature sensor in the Adafruit shop, the Analog Devices TMP36 (-40 to 150C). Its very similar to the LM35/TMP35 (Celsius output) and LM34/TMP34 (Farenheit output). The reason we went with the '36 instead of the '35 or '34 is that this sensor has a very wide range and doesn't require a negative voltage to read sub-zero temperatures. Otherwise, the functionality is basically the same. Using the TMP36 is easy, simply connect the left pin to power (2.7-5.5V) and the right pin to ground. Then the middle pin will have an analog voltage that is directly proportional (linear) to the temperature. 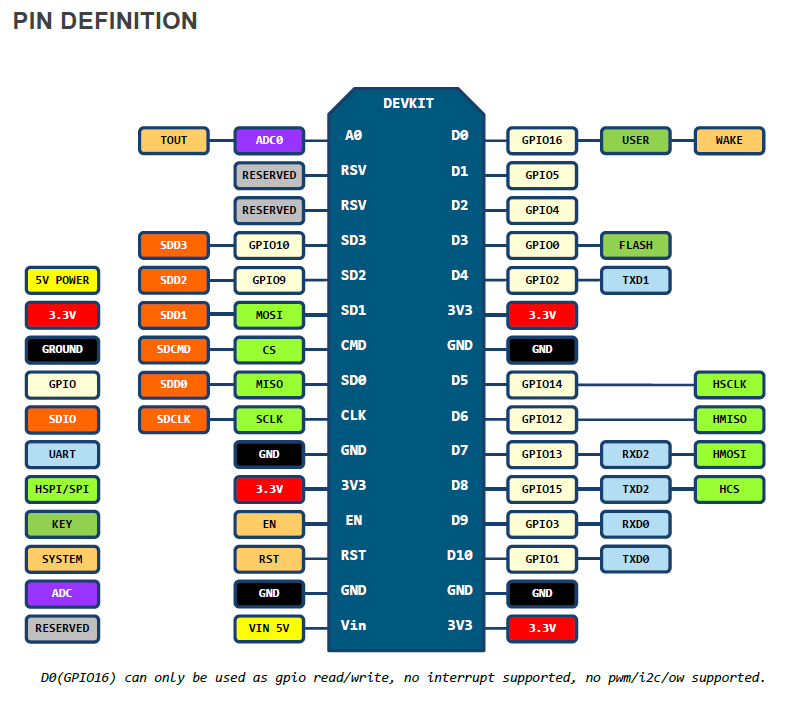 The analog voltage is independent of the power supply. 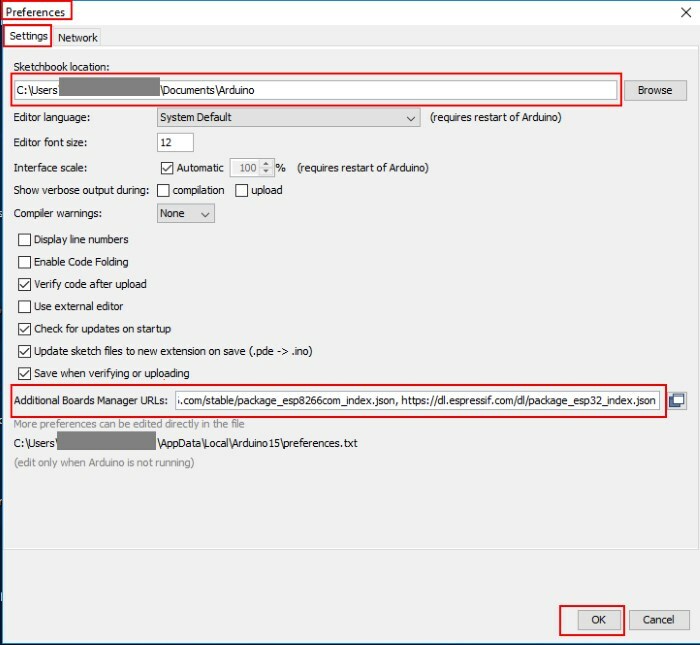 If, when adding more sensors, you find that the temperature is inconsistant, this indicates that the sensors are interfering with each other when switching the analog reading circuit from one pin to the other. You can fix this by doing two delayed readings and tossing out the first one. 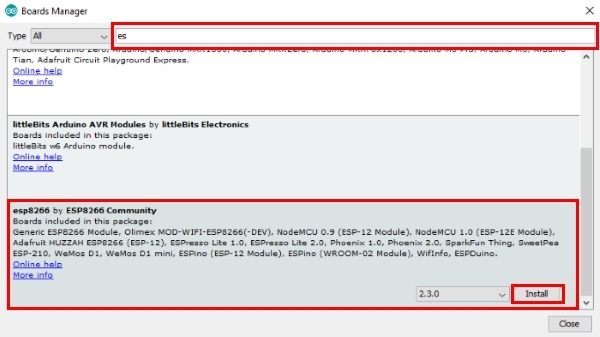 You can find the datasheet here. 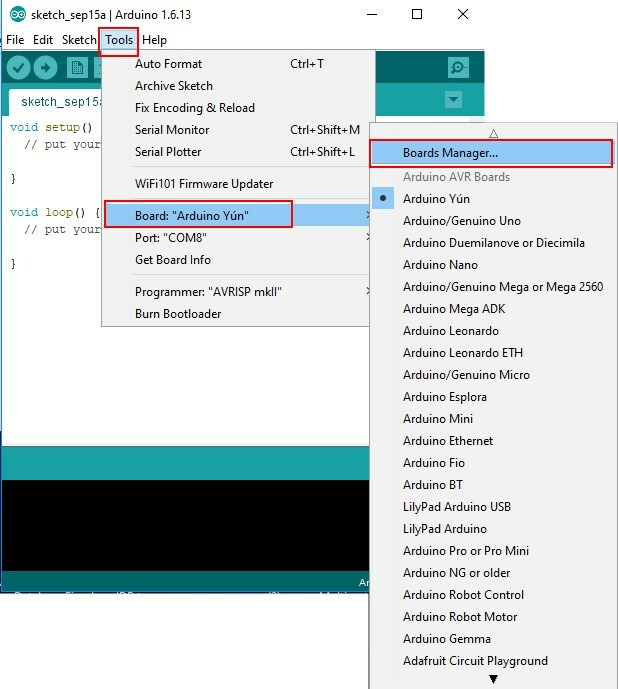 The Arduino environment has to be set up to make it compatible with the ESP8266 ESP-12E module. 1. 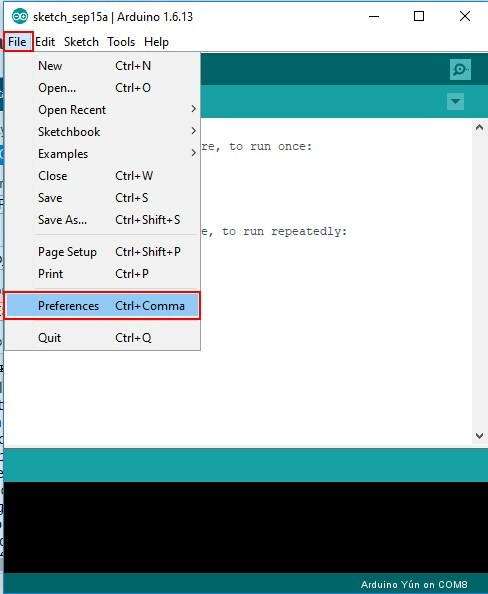 Installation of ESP8266 add-on in Arduino IDE on Windows OS. 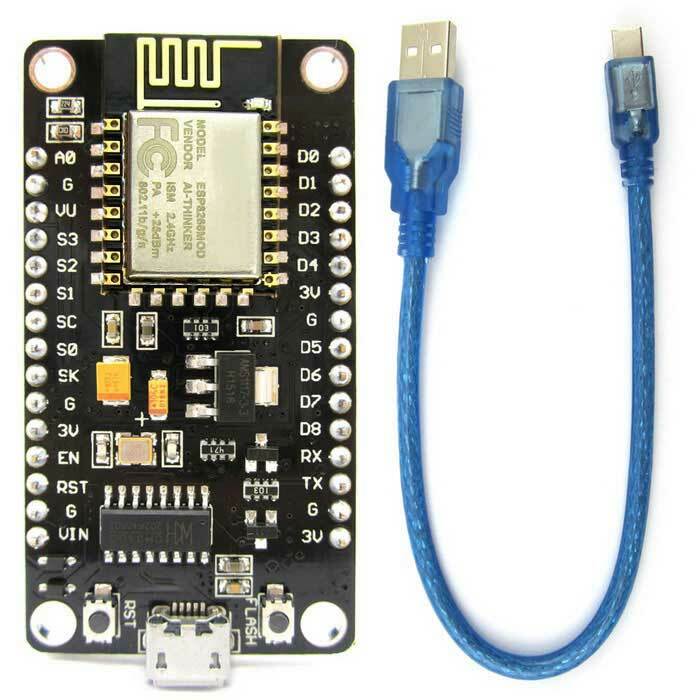 Open, compile and upload the sketch1 to your ESP8266 ESP-12E module. If everything went as expected, you should see a “Done uploading” message. 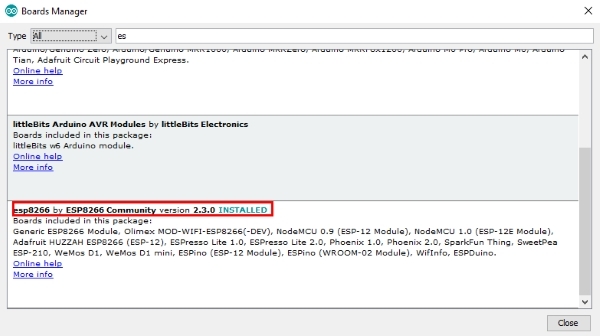 Press RST button on your ESP8266 ESP-12E module to reset it. 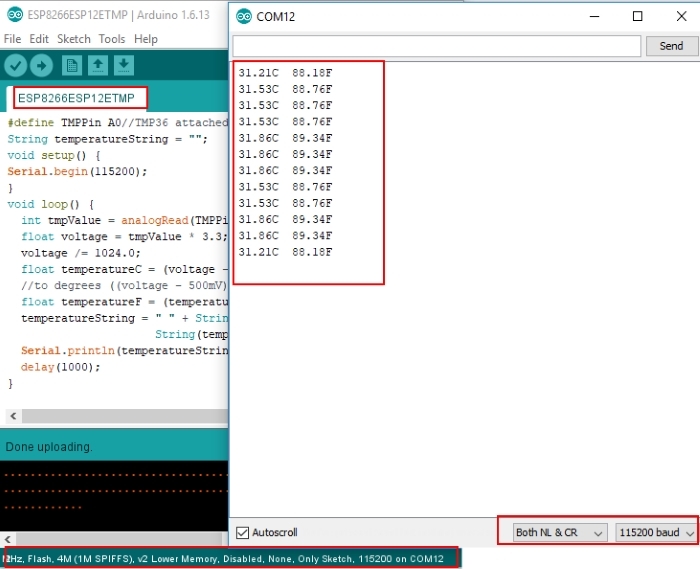 When your ESP8266 ESP-12E module restarts, you will see temperature readings in Serial Monitor. 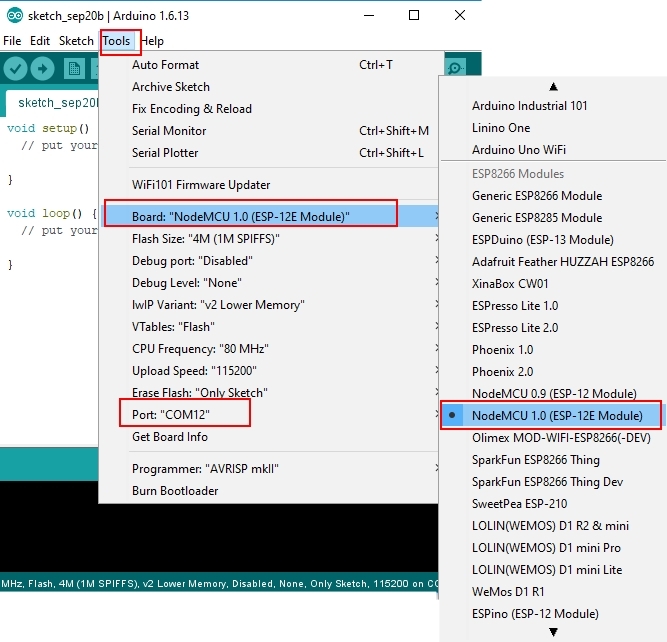 We have learnt how to use the TMP36 temperature sensor with the ESP8266 ESP-12E module (LoLin NODEMCU V3).